So it turns out my cousin Jan de Graaf is getting married while I am in Europe, to the lovely Yvette. I'm stoked for both of them. 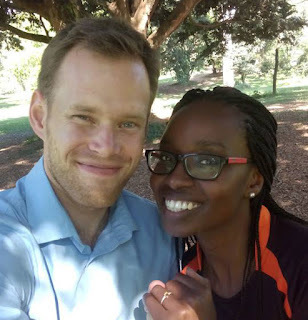 Only small complication: They're not getting married in Holland but in Rwanda. Cue several late nights poring over the interweb looking for affordable flights and another visit to my friend Aimee the travel agent, and I am now the happy owner of a return ticket to Kigali for a traditional two-day African wedding in mid-August. It's going to be a mission - the flights are Prague-Istanbul-Entebbe-Kigali - but it's going to be awesome.